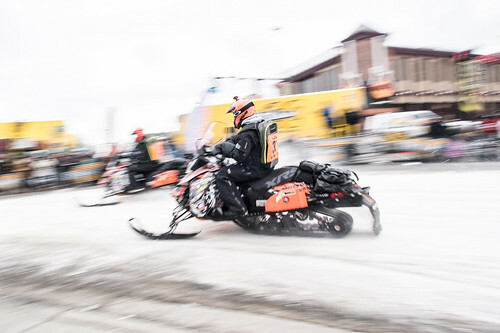 Teams will be restarting out of Nome @ 1 p.m. All racers will ride under a yellow caution flag in teams. 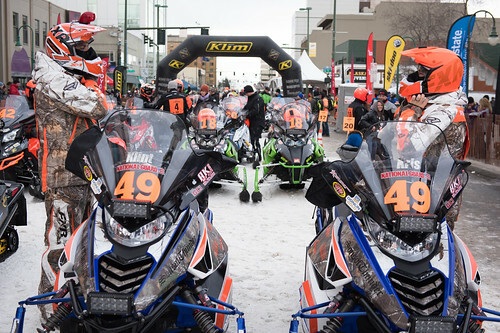 Rookies and veterans will be mixed together to work as a team to get to Unalakleet. Once in Unalakleet, times will be set for release on their actual trail times and the race continues from there. I am very glad that they are doing this. Safety comes first! 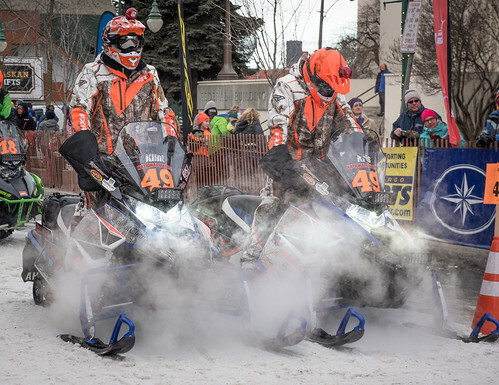 Good luck making it to Unalakleet teams! So, can Teams 23 and 29 rejoin the group back to UNK and resume the race as well? I would be surpised if they made it here to White Mountain, but very doubtful they can make it to Elim. Reports of overflow, trail snowed over, and strong winds. How bogus! Why didn’t they do this for the rest of the field on the first day when everyone but the leaders got caught in a storm. 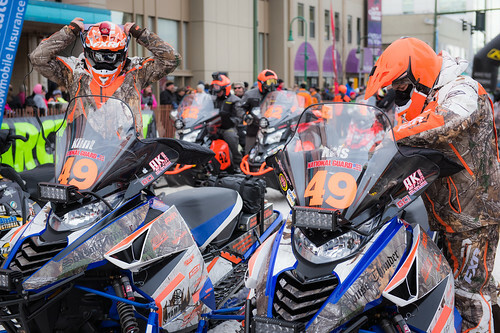 Shouldn’t you give the guys in the back of the field a chance to make up time, let them race, this IS Alaska not California, and the racers have prepared all year for this now they can’t race. Let them go. Is THiS The Iron Dogger, or wha??? Have you ever BEEN in an Arctic Coast blizzard? Didn’t think so. All that letting them go would accomplish would be a high risk of shutting the race down forever due to multiple fatalities. The people who live out there don’t travel in a blizzard, often not even in emergency. So we are going to ignore millennia of experience just for the sake of a few thrills? There is a BIG difference between a storm in the area near the beginning of the race, and a blizzard out on the Arctic Coast! Big difference in terrain, big difference in wind intensity, big difference in ability to get so lost rescuers won’t find you alive when the storm is over. 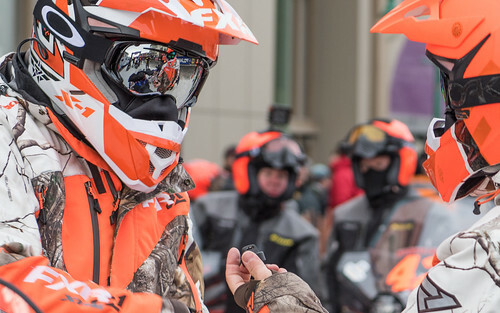 A little delay won’t hurt — and there will be more racers still able to compete! What About Team 23 and 29. they deserve to restart also. They did the right thing by weathering out the storm. All the racers in Nome did the same. They had enough time to make it in – and fight it out for the red lantern. They faced it out there just like the leaders, but got the worst of the storm in the beginning. Yea the BIG difference is there is no one to come look for you at the beginning of the race past Puntilla, being hundreds of miles from ANY village, but a lot of race fans along the coast in every village. 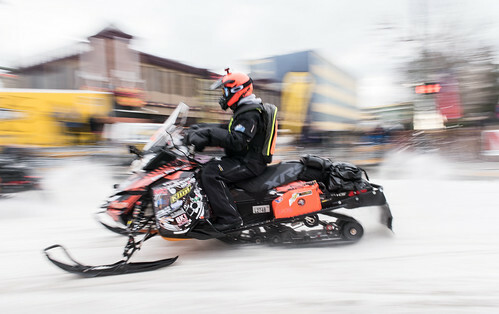 And yes I understand the storms on the coast, it’s where I ride, and yes a little delay won’t hurt, if they held everyone back in Nome, but they are not racing through the most difficult part of the race course, anybody can ride a snowmachine up a river, make them all wait in Nome and race from there. My partner and I attempted to run the Dog in 2000 and weather and terrain got the best of us outside of Unalakleet headed north. Yes it is the Iron Dog. 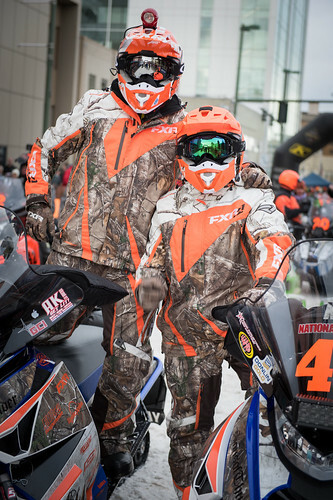 And if you aren’t tough or man/woman enough to make the run, stay home and follow the race on the computer!! 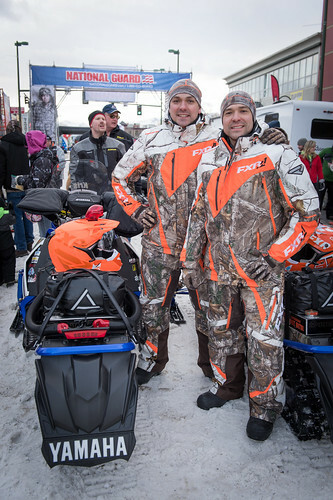 On a side note… Did they ever stop any of the dog teams that were headed to Nome with the dyptheria seyrum which is part of why this race got started?? Yeah I didn’t think so! Hi everyone! This is Vlad, a Russian journalist. I’m now in Unauklit, tried yesterday to get to Shaktoolik and turned back. The water was coming out of the sea as a horror movie and is very fast and flooded all the way. The depth of water on the knee. I am happy to be here at this time! Good luck to all racers! Amen brother, when the going id tough, the tough get going…. The best to you Vlad, happy to have you with us; stay strong.